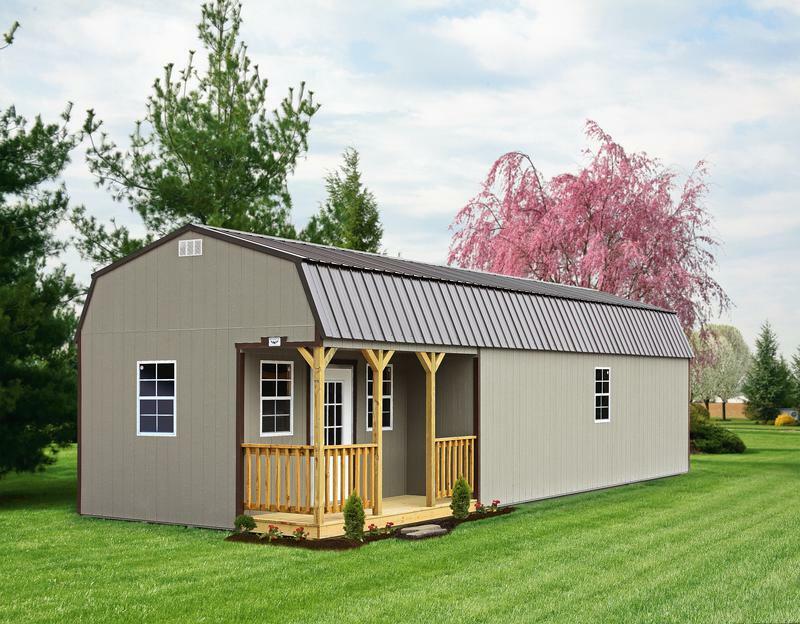 If you are one of the millions that enjoy the wonder of the great outdoors, then you might just need a Side Lofted Barn Cabin. 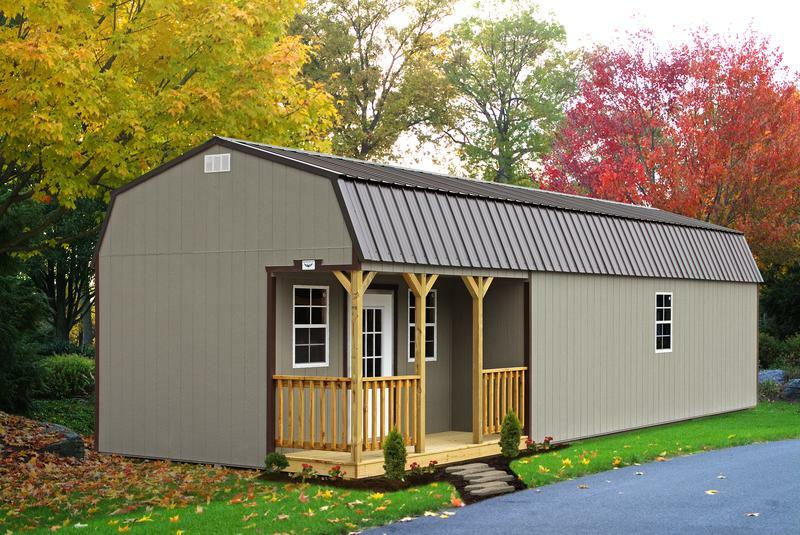 This building is the king of our product line and will give you enough room for a family retreat cabin or even a full time residence. Many of our customers continue on and finish the inside out completely and use them for a place to live. This can be a great way to get started or even to retire. With the proper insulation, the low energy usage in a Side Lofted Barn Cabin will impress you. If you are looking for a place to live, this is the most popular style we sell for dwellings. The porch is 4 ft deep x 12 ft long and is included in the over-all size of the building. NOTE: Footprint of building is approximately 6 inches less than stated width.